EaseUS Partition Master is one of the best partition manager software on the market which allows users to better manage their hard disk storage spaces, and improve performance of their laptops or PCs. Many people use partition manager software when they need more storage space on of their hard disk drives. This way, there is no need to format the hard disk entirely, and perhaps lose all files and documents, [in order to reorganize disk partitions and drives]. You should also remember that when you format your disk, Windows and all other applications ought to be reinstalled from the start. So the better alternative is to use a great partition manager tool like the one produced by the EaseUS company. Users could easily use the software to manage and organize their storage devices without worrying about losing important files and data. The software provides more features and possibilities than similar products available in the market. Moving or resizing partitions, as well as splitting and merging them are possible. 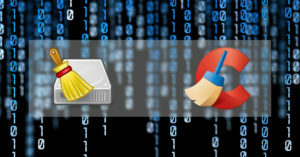 Lost or deleted hard disk partitions could be recovered with the program. The software allows users to clone partition or disk, migrate operating system to HDD/SSD, or upgrade system disk. 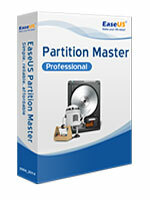 Converting logical partition to primary and vice versa could be done using the EaseUS Partition Master application. This partition manager supports removable devices, hardware RAID, and MBR & GPT disks. The program could be installed and run on most Microsoft Windows versions including XP, Vista, 7, 8 & 8.1, and even Windows 10. EaseUS offers many software applications for managing disk partitions. Depended on your requirements and budget, one of the versions may be a more suitable choice. For home and home office, two versions could be recommended: Free & Professional. The free version includes all features mentioned before, excluding the ones declared above as exclusive to the ‘Professional’ edition. This version costs $39.95. Other versions are available as well, which are more suitable for business usages: Partition Master Server, Unlimited, and Technician packages. All versions include features existing in the ‘Professional’ version, plus some extra features. The ‘Server’ version supports Windows Server versions such as Windows Server 2003, 2008, and 2012. It costs $159. The ‘Unlimited’ version could be used by companies which want to use the software unlimitedly. The price is $399. And the ‘Technician’ package makes it possible to offer clients technical services, at a price of $699. 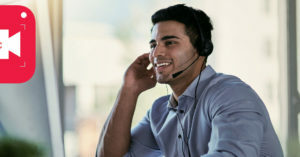 There are free trials available for all versions of the software. The software has also a ‘User Guide’ which could be accessed after you open the program. First time users of the EaseUS partition manager could simply read the articles and watch the videos to learn how to use the application. All in all, using the software is very easy. All you need to do to make required changes to your system storage space is a few clicks and dragging some sliders on the application. Then, EaseUS Partition Master executes the real operations, and the hard disk will be ready to use quickly with the newly organized disk drives after the changes are applied and rebooting the computer.